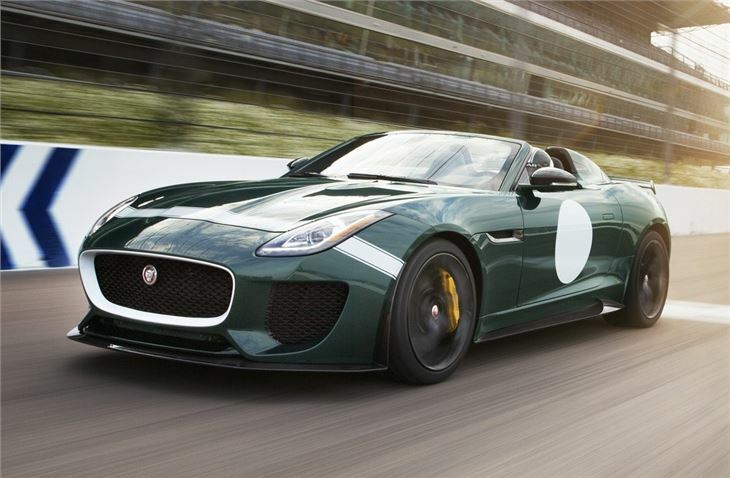 Jaguar's special F-Type Project 7 will make its debut at the Goodwood Festival of Speed this weekend. 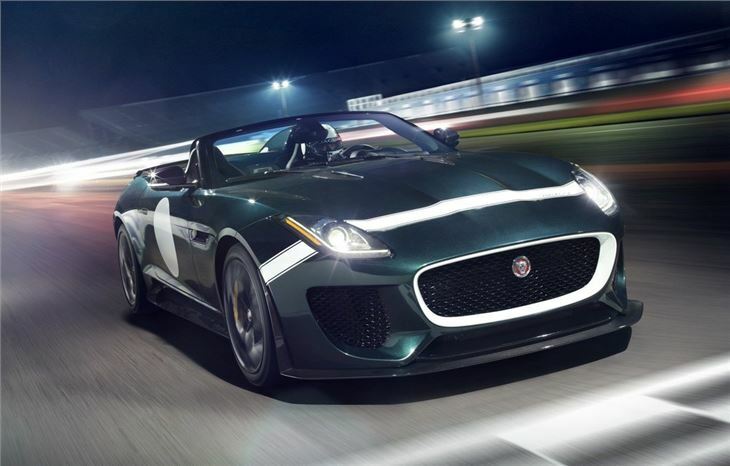 The F-Type Project 7, so called because of Jaguar’s seven Le Mans race wins, will be the the fastest and most powerful production Jaguar ever built. Just 250 cars will be produced. Power comes from the Jaguar 5.0-litre supercharged V8 engine with power increased to 575PS with 680Nm of torque. Thanks to an all-aluminium body the Project 7 weighs just 1585kg which means a 0-62mph time of just 3.9 seconds with an electronically limited top speed of 186mph. 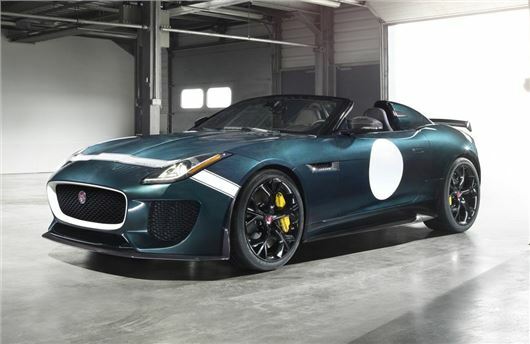 The fully legal two-seater F-Type Project 7 has a removable roof and a D-Type inspired fairing behind the driver's head along with a shorter windscreen and an adjustable rear spoiler. As you'd expect carbon fibre is used extensively including the the front splitter, side skirts and rear diffuser. 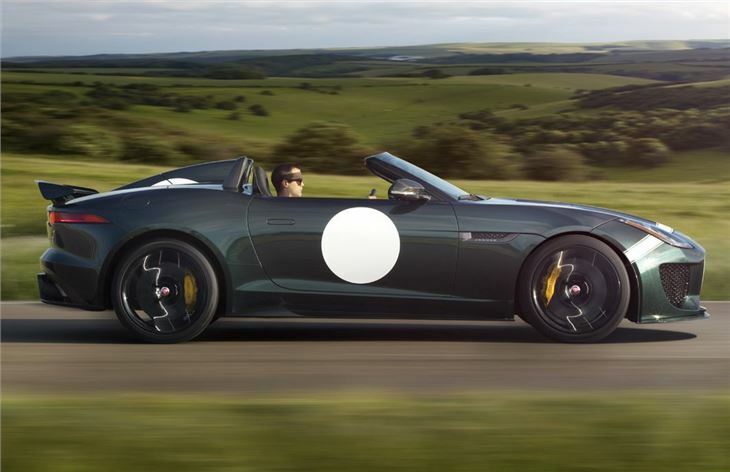 At top speed the Project 7 creates 117 per cent more downforce than the standard F-Type Convertible. It also comes with a switchable Active Sports Exhaust system with matt-black ceramic coated tailpipes, 20-inch Storm alloy wheels in gloss black and carbon ceramic brakes as standard. The suspension has been revised to cope with the extra power with height adjustable dampers both front and back. Inside there are lightweight race-inspired bucket seats, finished in a quilted racing-style diamond pattern with four-point racing harnesses available as an accessory. The interior features carbon-fibre veneer inserts on the console, an Alcantara steering wheel, machined aluminium gearshift paddles and bespoke treadplates with the Project 7 logo. 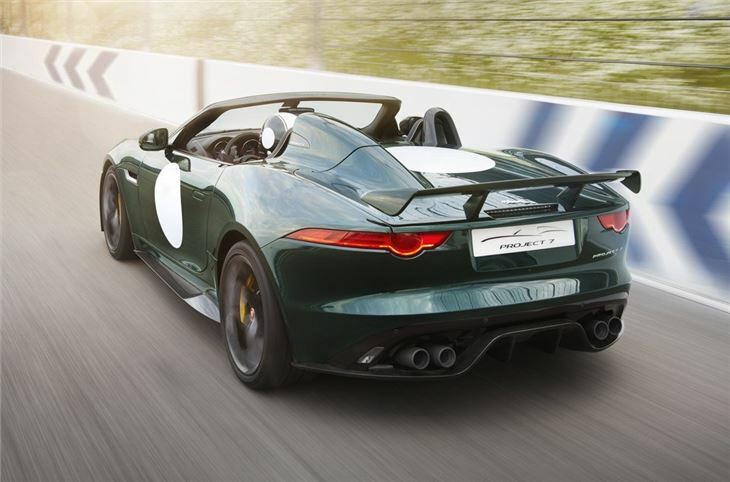 The F-Type Project 7 comes in five metallic colours. Ultra Blue, Italian Racing Red, British Racing Green (all with white decal options), Ultimate Black and a new colour, Glacier White (both with grey decal options).